Hello, Speed Readers. 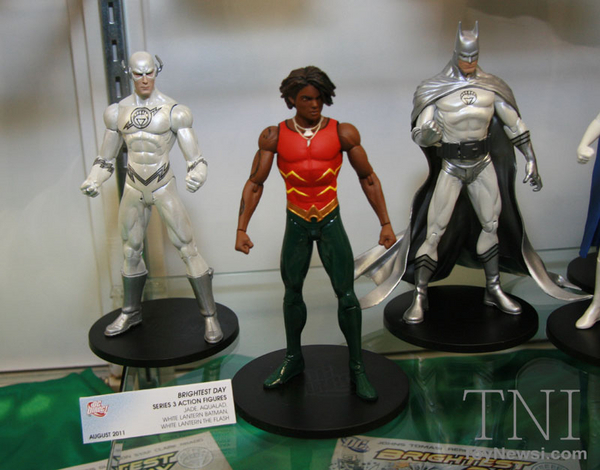 Just a couple updates on the Graphitti Designs Convention Exclusive Brightest Day White Lantern Flash Action Figure courtesy of Action Figure Insider. Some good news and some bad news. The good news is that the figure is now available on Graphitti Designs official webpage, Graphittidesigns.com. The figure is 20 dollars and is only available in limited quantities. Great news for those who could not get out to C2E2 or Wondercon to get them the first time. Unfortunately this also means that they will not be available at the upcoming San Diego Comic Con or New York Comic Con as DC Direct exclusives. So if you were patiently waiting for these chances to grab the figure you may have to seize the day now and get one while the getting is good. The price for the figure on eBay floats between 40 and 140 dollars so I would suggest getting it from Graphitti now. Anyone planning on picking one up now that they are available online? 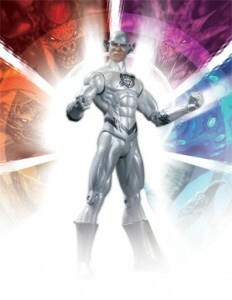 It looks like Graphitti Designs have officially sold out of their stock of White Lantern Flash Action Figures as the link I posted earlier this morning now points to a unavailable product page. Sorry for those that missed out. Anyone else manage to snag one before they sold out? This entry was posted in Collectibles, Flash News and tagged Barry Allen, Brightest Day, C2E2 2011, Convention Exclusives, DC Direct, Graphitti Designs, White Lantern Flash on May 17, 2011 by Devin. All reports are that this year’s WonderCon was a great convention, and a lot of fun, though crowds are beginning to become an issue. I had to miss it this year, but one of the great things about the Internet and social media is that you can still capture some of the experience of going to a con without leaving your home. So, here’s a round-up of the Flash-related costume/cosplay photos I’ve found on Flickr from WonderCon and C2E2. 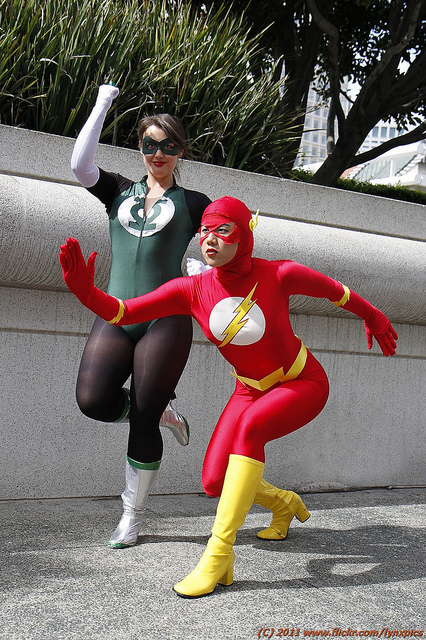 Psykitten Pow as the Flash and Mia Ballistic as Green Lantern at WonderCon (previously seen in this costume at San Diego 2010), photo by LynxPics. They were part of a much bigger group, which is up next after the cut. This entry was posted in Fandom and tagged Brightest Day, C2E2, C2E2 2011, Captain Boomerang, Cosplay, Justice League, White Lantern, White Lantern Flash, WonderCon, WonderCon 2011 on April 12, 2011 by Kelson. ICv2’s sales estimates for September are out. 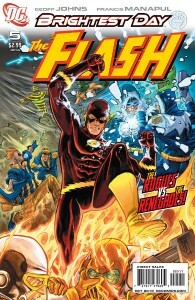 The Flash #5 sold 62K copies and was ranked 14 for the month. While that is a drop in raw numbers, it’s worth considering that comics sales are down overall in the third quarter…and that the book actually climbed in the rankings. In fact, it seems to be holding steady in terms of rankings, between 10 and 15 for every issue since the first. This entry was posted in Flash News and tagged Brightest Day, Relaunch, Sales on October 22, 2010 by Kelson. My first impression of it was “Wally West!” and then I quickly remembered that Wally had nothing to do with Brightest Day and that we haven’t even really seen him (except for the one-off appearances in Magog and Secret Origins) since Flash Rebirth ended. My reaction obviously had to do with the belt and the way it’s been designed. This entry was posted in Collectibles, Flash News, Opinion and tagged Barry Allen, Blue Lantern Flash, Brightest Day, DC Direct, Wally West, White Lantern on October 15, 2010 by Devin. 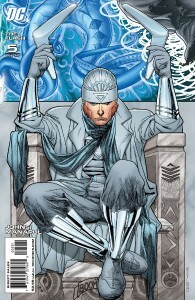 DC has posted a 5-page preview of today’s The Flash #5, along with both the standard and White Lantern variant covers. If you have trouble viewing the images on DC’s site, you can also read the preview at CBR. 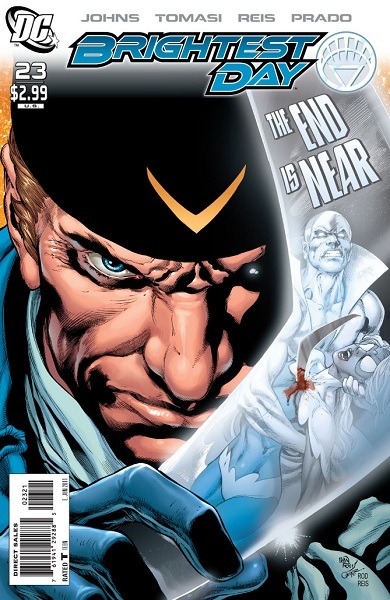 This entry was posted in Flash News and tagged Brightest Day, Captain Boomerang, Dastardly Death of the Rogues, Preview, Renegades, Rogues on September 22, 2010 by Kelson.